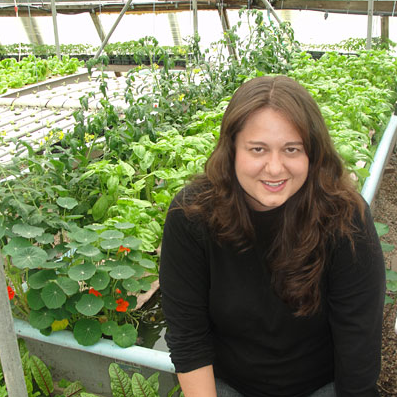 Ms. Marianne Cufone is founder and Executive Director of the Recirculating Farms Coalition. She is an environmental attorney, and long time healthy, affordable food advocate. She is also a professional chef, trained by the Natural Gourmet Institute, a leading facility on health supportive culinary arts and theory. Marianne comes from a long line of farmers and fishermen and is both herself. Applying her personal and family interests to her work – she has been involved with natural resources management, focused on oceans, fisheries, seafood and agriculture for the past 15 years. Marianne directed the fish and oceans program at Food and Water Watch (2007-2011), managed the Gulf, South Atlantic and Caribbean fisheries program for the Center for Marine Conservation (1999-2003), runs Environment Matters, a consulting firm that provides legal, policy and communications support to non-profit organizations (2003-present) on environmental issues and founded Green Justice Legal, a non-profit public interest firm focused on protecting the natural and human environment. She also maintains positions on advisory committees for local, state and the federal government and various other non-profits and businesses. Marianne currently heads an environmental policy clinical class at University of Loyola New Orleans School of Law, and has taught law and various college courses and given many guest lectures at assorted academic institutions. She appears in print, television, radio, and other media, is published in various magazines and professional works and testified before U.S. Congress. Marianne is a member of: the Florida Bar; the United States District Court, Middle District of Florida; the Louisiana Bar; the United States District Court, Eastern and Middle Districts of Louisiana; the U.S. Supreme Court; the American Bar Association, Section of Environment, Energy and Resources; and the American Fisheries Society.